U.S. Customs and Border Protection announced today the deployment of facial recognition biometric exit technology to Chicago O’Hare International Airport (ORD) for select flights from ORD. The deployment builds upon a June 2016 pilot at Hartsfield-Jackson Atlanta International Airport using facial recognition. CBP recently deployed the technology to Washington Dulles International Airport and George Bush Intercontinental Airport in Houston. Future deployments are planned for additional airports this summer. Using the flight manifest, CBP builds a flight specific photo gallery using photographs from the travel document the traveller provided to the airline. CBP then compares the live photo against the document photo in the gallery to ensure the traveller is the true bearer of the document. If the photo captured at boarding is matched to a U.S. passport, the traveller—having been confirmed as a U.S. citizen—is automatically determined to be out of scope for biometric exit purposes and the photo is discarded after a short period of time. CBP remains committed to protecting the privacy of all travellers. There are several legislative mandates that direct the Department of Homeland Security to record the arrival and departure of non-U.S. citizens by collecting biometrics. 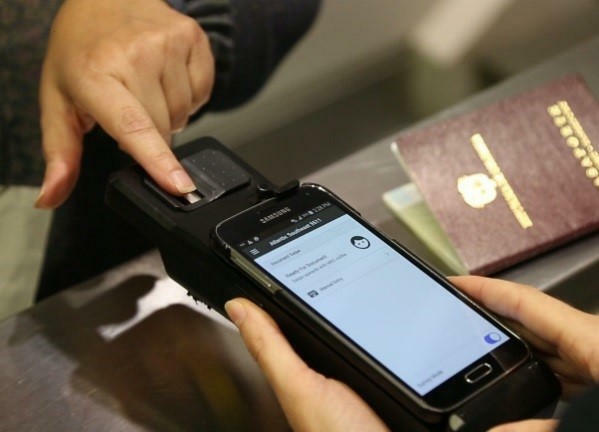 CBP first established biometric screening procedures based on digital fingerprints for certain non-U.S. citizens in 2004 to secure our borders and ensure that the foreign travellers presenting themselves for admission to the United States are who they claim to be.